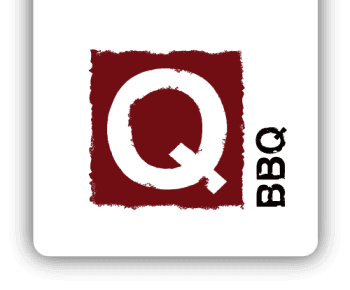 February, 18 2015 (CHICAGO) – Back by popular demand, Q-BBQ, the award-winning barbecue restaurant with locations in Chicago's Lakeview neighborhood, downtown LaGrange and downtown Naperville, is featuring two mouthwatering seasonal sandwiches for the third year in a row. In celebration of St. Patrick’s Day and Chicago’s abundant Irish culture, Q-BBQ is welcoming back the delectable Smoked Corned Beef Sandwich. This Q-version of the classic Irish dish has a distinctive hickory smoked flavor and comes loaded with homemade sweet cabbage and horseradish on a brioche bun. And, for those looking for a meatless option on Fridays during Lent, Q-BBQ is serving up Corona Battered Cod. The crispy cod fillet comes sprinkled with a signature Q-Rub and topped with lettuce, tomato, red onion, pickle and homemade tartar on a brioche bun (available 7 days/week). The Smoked Corned Beef sandwich and Corona Battered Cod Sandwich features are available now through March 31st at each of the three Q-BBQ locations. Click here to see the complete Q-BBQ menu. Q-BBQ is also renowned for its excellence in smoked brisket, ribs, chicken and pork.